Are you feeling organized YET? 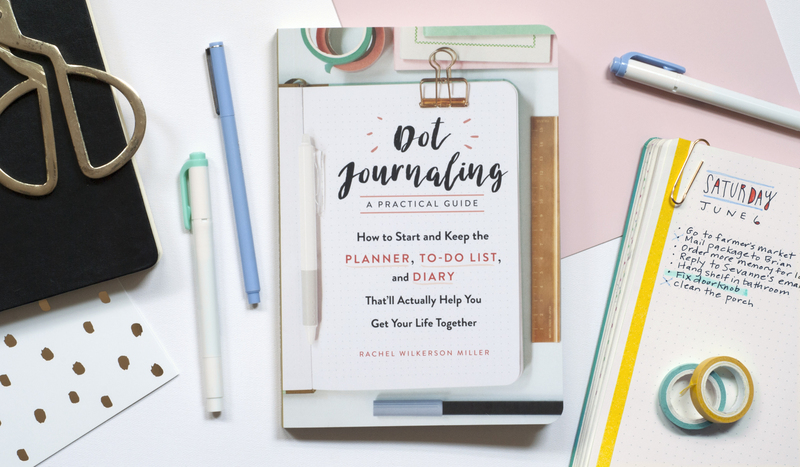 Author Rachel Wilkerson Miller wants you to chill out with the loosely organized chaos in your life and try dot journaling, a fun, fulfilling way to plan, track, and recall whatever you want as elaborately or as simply as you like. In her new book, Dot Journaling: A Practical Guide, How to Start and Keep the Planner, To-Do List, and Diary That’ll Actually Help You Get Your Life Together (on bookshelves July 25th! ), Wilkerson Miller outlines the unique process of dot journaling (combining your planner, to-do list, and diary into one book) making life management as simple as turning a page, while also creating space for practitioners to express themselves creatively with symbols, color-coding, and pens and highlighters. Recently, HelloGiggles spoke with Wilkerson Miller about her new book, how the practice of dot journaling has given her a deeper understanding of herself, and how there’s space for everyone in dot journaling (even fly-by-the-seat-of-your-pants types like us). 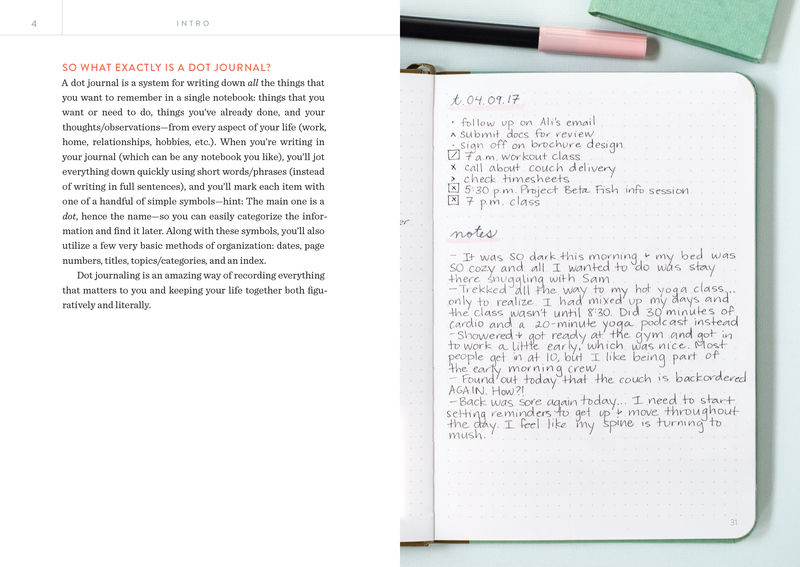 HelloGiggles: What is dot journaling? 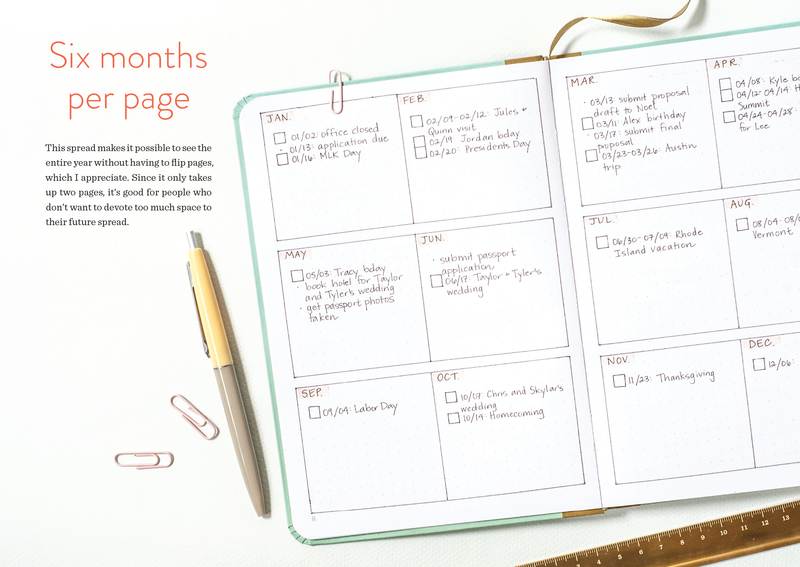 Rachel Wilkerson Miller: It’s basically a combination of keeping a to-do list and a planner in a very intentional way that both makes it easier to stay organized, and also creates this very special diary/scrapbook-type thing. Depending on what your needs are, you can kind of go as far as you want to with using it more creatively, [but] at a really base level, it’s about keeping a to-do list and planner. It took a little while, but as soon as it clicked for me, I was, like, “Oh, this is really cool and interesting. It makes perfect sense for me. I can totally see why this would be a fun thing to try.” That was in December 2015, so I started my first journal using the system in January 2016 and I’ve basically done it every day since then. HG: How did you manage your schedule, commitments, and your personal diary prior to dot journaling? RWM: I have always kept a pen and paper to-do list my entire adult working life. I’d keep a steno notebook at work where I’d keep my work tasks on one side and my home tasks on the other and cross them off when I was done — really, really basic — and then, I used Google calendars for scheduling work meetings and doctor’s appointments and those kinds of things. Dot journaling is a way to keep doing that, just in a more thoughtful way. I still have the pen and paper to-do lists, but now I’ve added an index to it so I can actually find things. I kept a ton of diaries my entire life basically, but I had fallen out of the habit in my twenties. The internet took over and [though] it wasn’t like I was writing in a diary online, all of the online interaction I was having kind of served that purpose. I was writing as a full-time job, and I texted with my friends all the time, so by the end of the day when I would normally write in a diary, I would just kind of feel like, “But I’ve already written so much today” even though it wasn’t being collected in any place. Dot journaling and writing these quick notes versus writing full sentences freed me up mentally and gave me permission that keeping a diary didn’t have to be this intense thing, that it could just be a few notes and that counted. It inspired and motivated me to start keeping a diary again. HG: How easy was it for you to begin dot journaling? RWM: I think the biggest challenge was just figuring out what the concept really was, and then thinking about what I wanted mine to look like. There are so many cool things you can do with dot journaling that there’s this temptation to immediately make it really special. If you love journals, you have this intense fear of messing them up and for me, that was part of it. I wanted to make it perfect and I wanted to pre-plan the whole thing and I really had to listen to all the people online who were saying, “Just take it really slow. It’s not going to look perfect. It’s going to change. You can change pen colors midway through and the world won’t end.” I had to really believe that and it was hard at first. HG: Have your life management practices changed in any way since you started dot journaling? How so? I’m a pretty organized person, and I remain pretty organized. It didn’t change my life in that way. For me, it’s a really great tool of self-reflection and of working though problems. Personally, I love having a record of my life, so having that in one place is just really meaningful and special to me. I think there’s a lot of value in knowing, in getting these things out of your head and onto paper and knowing that you can look back at them someday and knowing it’s all there. In some ways, it did definitely make me more organized. Using the index and the page number system, which is so simple, was a huge light bulb moment. [For example], if I had a conversation with somebody that was important, I could put that in the index and then just find it easily again later which, for me, was life-changing. A lot of the things like to-do lists you don’t really need to reference later, but sometimes you do and I create pages for conversations I want to reference later. I also keep a list of all of the books I’ve read. It’s nice to be able to check it and then, if I want to be able to recommend a book to a friend, I could hunt down my Amazon wish list and figure it out, but having it all there in one place for easy reference is nice. Or I can remember what I talked about with my boss last week and [remind myself], “Did we go over this thing or do we need to follow up?” Those kinds of things are really helpful at work, at home, all areas of life, really. HG: Has it been difficult for you to keep up? RWM: No, not at all. When I was younger I kept diaries constantly, so I think it just comes really naturally to me. Plus, like many of us who are trying to unplug more and figure out a way to wind down at night, I needed something to do before bed that wasn’t texting or watching TV, so I [thought], “Oh, here’s a perfect spot for this,” so that made it a lot easier. HG: Any troubleshooting tips for dot journalers who are just starting out? RWM: There’s two things. One: force yourself to do the bare minimum. Don’t spend so much time trying to make this a beautiful and cool thing that you don’t actually make a functional thing. For me, I knew if I color-coded things, if I forgot the pen that I need to write down this type of task, that would really stress me out. So I was like, “Okay, we’re not going to do that.” I wanted to make sure it was kind of fool-proof for the first month. So I definitely recommend giving yourself those kinds of limits just so you’re sure you can stick with it. But also if you can’t, give yourself permission. If it’s bugging you that much, you can start over. You can start a new notebook, if that’s what you need. There are no journal police looking over your shoulder. It’s just you. That’s helpful just in terms of sticking with it, but that’s also pretty good life advice. To just chill a little bit. That’s another way it’s improved my life. It’s helped me to really focus in on one day at a time and not try to plan my entire life at once because you can’t plan your dot journal [entries]. You don’t know how many pages you’re going to need for this week, so just take it a page at a time and we’ll figure [it out] next week when we get there. HG: Who do you think would most enjoy dot journaling? RWM: Dot journaling is for everyone. There’s all these different things you can geek out about within it, like penmanship, organization, stationery and pens, but I wouldn’t say it’s all stationery geeks. It’s people who are really earnest and passionate about things in general. One of the things that’s really cool is that it appeals to people of all ages, races, and it’s both men and women. It’s very accessible and one of the most delightful things about it is seeing all the different kinds of sub-communities that have popped up — LGBT groups and Christian groups and nurses and teachers — who’ve connected over this specific interest. In general, I think everyone shares a desire to do stuff with pen and paper, to take care of themselves, and get organized and be present and record their lives. HG: I’m a fly-by-the-seat-of-my-pants creative type. How can dot journaling help someone like me? Well, I think there’s two aspects of it. First, I think having boundaries as a creative person is really helpful, and I find that having certain things organized and ritualized makes it easier for me to be creative. Like having a page for all my writing ideas means I actually write more of them because if I need something to write about, I can find all the things I was going to write about that I might’ve just forgotten about otherwise. So, it makes me feel really empowered and kind of in control to be able to have that. I think the other thing, too, is that you get to set the rules and you get to make them for your life and tap into the specific things that you need. So, [for example], if generally, you like more chaos, you can build that in. Your dot journaling doesn’t have to look like anyone else’s. If you find page numbers really exhausting or intimidating, just don’t do them. Just knowing you don’t have to and you can build the thing that really just fits your needs can be helpful. HG: In your book, you talk about dot journaling as a way to give people a more complete picture of who they are. How does dot journaling help people better understand themselves? RWM: There’s a couple of different ways that I think it comes into play. 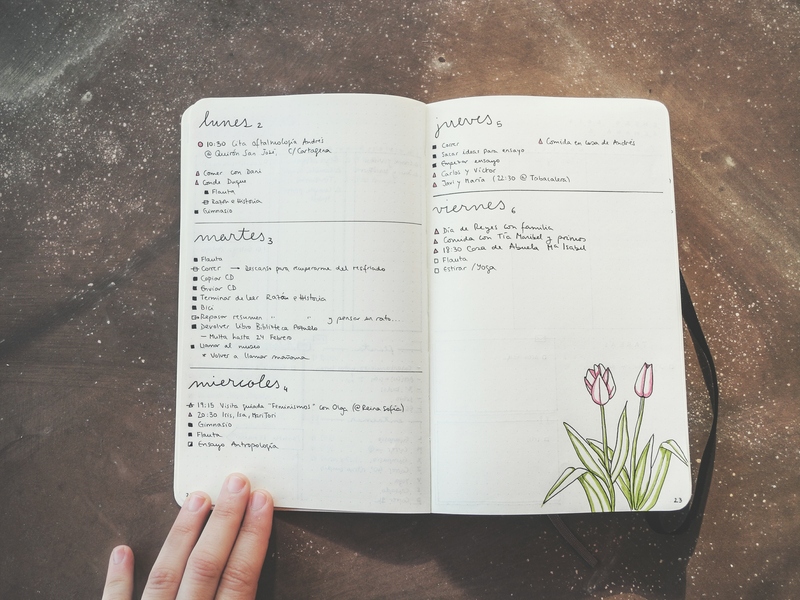 First, at a really basic level, I used to have my diary and to-do lists completely separate, because I didn’t really see the overlap of those things and I’d always just throw away my to-do notebooks when I was done with them because it just didn’t seem important. But looking back, there were huge aspects of my life that I didn’t put in my journals or my diaries because I didn’t think they were important that now I really wish I would’ve written more about, like school and the books I was reading, instead of just writing about the latest drama with the boy I had a crush on. So in that sense, dot journaling kind of pushed me to see my to-do list as being a part of my diary and a record of my life in a way that I hadn’t before. But also, in terms of that knowing yourself, one of the things I realized as I got older was all of the things we do can be sort of indicative of our overall health. [For example,] if you start a new medication, you may start having a bunch of really bad side effects, but you may not pin that down to the medication necessarily. So writing down every time you have a headache, you can look back and [see,] “Oh, I had a lot of headaches. And oh, weird, they all started the same time I started that medication.” Or “Oh, weird, I have a fight with my partner every time my period is about to come.” Those little basic things where you start to see patterns in your life can be really helpful for that self-knowledge. Maybe you have a really toxic friendship and you realize every time you hang out your friend, [you’re journaling,] “I’m so frustrated and angry,” that’s really helpful to see that. Or having a place to work through a negative conversation you had, to think through your role in these things and examine your relationships from a different angle, I find that really valuable. So, having a spot where everything goes, you don’t have to decide what’s important and what’s not. RWM: There’s something about having a dot journal or keeping a diary that’s like this act of [saying,] “My feelings are important. My life is important. My thoughts matter.” And that was a message that is deeply core to what I believe, and what I want people to believe about themselves. I want to hopefully inspire people to [tackle] that bigger thing of finding yourself, and building your confidence, and finding your voice, and self-care, and connecting with yourself in that way. In the past year, the practice of dot journaling has exploded. Why do you think it is connecting with so many people today? RWM: First, to some degree, I think it’s a natural evolution of hobbies and arts and crafts in the past few years. To me, it’s very much the next iteration of adult coloring books where people have been looking for a way to unplug. They’re looking for something to do with their hands. It’s a little bit more paint-by-numbers than trying to do some other creative activities, so I think that’s part of it. I also think there’s a deep love for pen and paper that is very enduring and time-tested. And as much as this is a trend, keeping a diary is not a trend. That isn’t new at all. People have been keeping diaries for years. It’s the latest version of this very old thing. I think, too, that last year was really rough; 2016 was not a great year for a lot of people in the United States, on every side of the political spectrum. Things are moving really fast right now. The world is changing very fast. The technology is very overwhelming. People are stressed and kind of scared and that’s the time when people start diaries. People start diaries when their life feels out of control. There’s a desire to keep a record or reclaim that space, so I think that’s actually a big part of it. This is a lot right now. We’re living in strange times. Maybe I should work through that in this new way or find this space for myself. 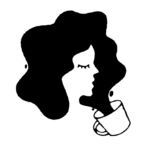 There’s a big emphasis on self-care happening right now, too. Any last words about dot journaling? RWM: Dot journaling can really fit into so many people’s lives. It is not for one type of person. I hope that people who do read the book, and who are thinking about trying it, that they’re encouraged and feel empowered, and I hope that they do it and they find it’s rewarding. I find it so valuable in so many different ways. If people trying it find it valuable in one of those ways, that’s great. If [by dot journaling] you are now better at paying your bills on time, that’s awesome. That’s a win. If you discover a deeper truth about yourself, that’s also amazing. It doesn’t have to change your life. Like, showing up on time is actually pretty life-changing, I would argue, so that’s enough.